​Deeply influenced by Zen and Dadaism both in the Visual Art and performances, Dhyano Explores the infinite possibilities to get the audience engaged into the now-here. "If I was born a century before (that's 1865), I would be simply a poet. But as we are in the third millennium I have to define my work as a Multi-sensory Hypertext. This definition it gives me the possibility to dismantle the uncomfortable labels that the art world obsessively try to stick to creative people in the effort to change their talents into a marketable product. I do photography but I am not a photographer, I do performance but I'm not a performance artist, I do sound art but I am not a sound artist... and so on. I consider myself as (simply) a Poet of the third millennium. I believe poets can now access more than just words when they want to express the inexpressible. As Leonardo put it "words are a poor resource for capturing complexity". Lets try to define Multi-Sensory Hypertext. The difference between Multi-media and Multi-sensory is not simple to explain because it is required a change of gestalt. Instead of focusing on the artist it is necessary to focus on the users, the perceives, in what we call the audience. With a simple metaphor I would say that the media is the vessel in which the artist delivers the message and the senses are the doors the audience opens to let the message in. The first difference is in the creative act itself. A multi-media artist is focused on the vessel and a multi-sensory artist is focused on the doors. I could create for example a multi-sensory piece of visual art if with that work I manage to stimulate not only the sense of sight but also other senses simultaneously. 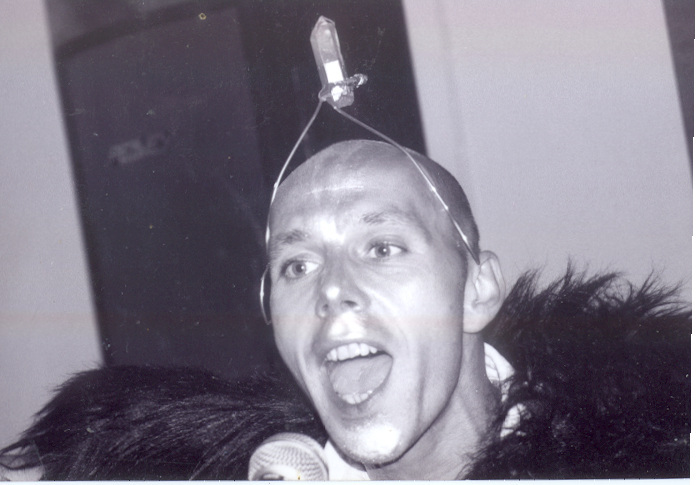 I could write multi-sensory poetry or multi-sensory performances. Hypertext is a series of texts linked together. In my work I want to create links between productions that stimulate different senses in the audience and that's why I have to call my work Multi-Sensory Hypertext. 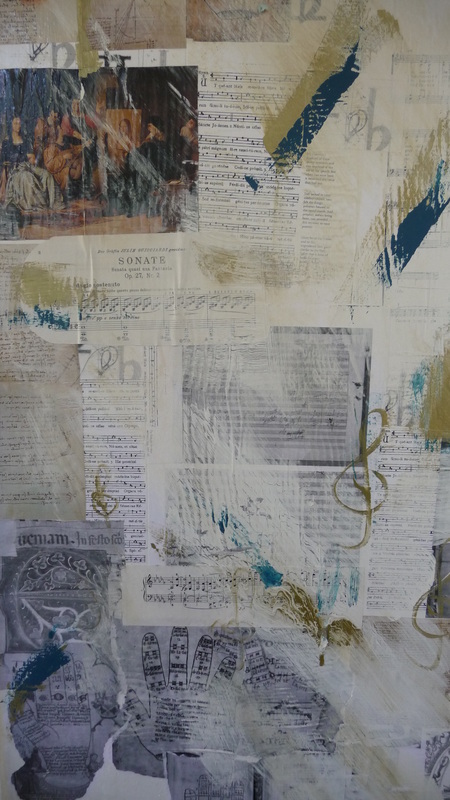 Substantially I creates Experiential Art, because my work is designed to give the audience a specific sensory experience. For example 'Anatomy of a slide show' is not just video-art, but a Visual Experiential Formula the choice of the images, the pattern of colours and the texts are edited in a way that stimulate the viewer to focus on the sense of sight. The presentation life on a stage, art gallery or street, of a Multi-sensory Hypertext becomes a Multi-sensory Performance. 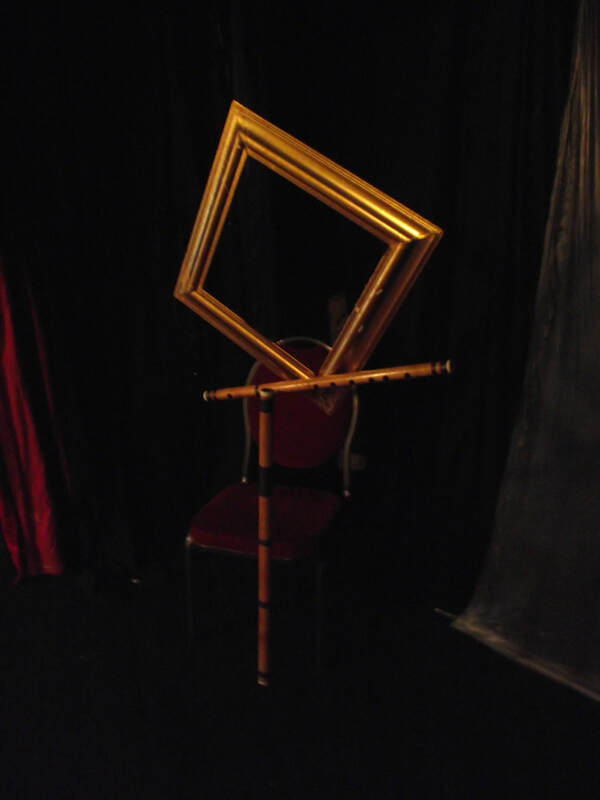 I combines Poetry Performance, Life Art and comedy in dynamic solo acts generally performed at the Upstairs Theatre, St.Ives Arts Club Arts Club. Out Of Frame. A very simple visual/auditory installation created for the Dhyanglophone Stage to symbolise the powerful characteristic of sound to generate mental images in the audience. 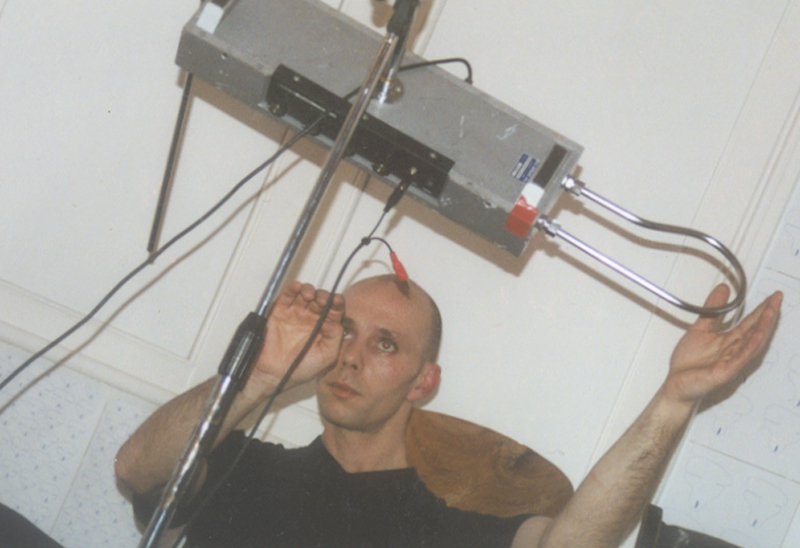 Performing 'The Guidonian Hand' an Auditory Visual life art performance.